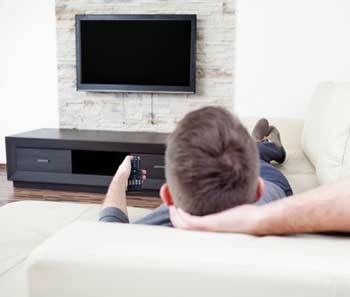 Whatever the problem, we can fix it — Big Screens, HDTV, Plasma, LCD, Flat Panel, DLP, or traditional TVs. Our Television Repair technicians will honestly diagnose and repair your set with fast, reliable service. Simply bring your set to our shop or we can pick up your set if needed. Is your Television broken or worn out? We are your local TV repair and Electronics repair headquarters. Our store hours are 10:00am to 5:00pm Monday , 9:00am to 5:00pm Tuesday to Thursday and 10:00am to 1:00pm Saturday, ( Sunday – CLOSED ). Save the cost of a service call by bringing your product in for service any time during normal business hours. 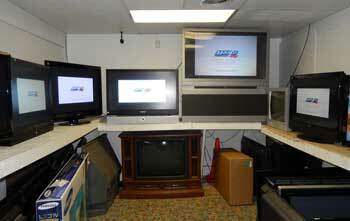 We will carry your television set from your vehicle inside our store for a thorough inspection. See our map. We can have your item(s) picked up from your location (home or business) for service inside our service center. This will allow faster service when parts become available. We will make every effort to arrange an appointment that is convenient to you. Contact us to arrange for an appointment. In-Home Service is normally provided between 8am and 12pm and evenings by prearranged appointment. We make every effort to arrange an appointment that is convenient to you. Our technicians are trained to perform your repairs as speedily and efficiently as possible. 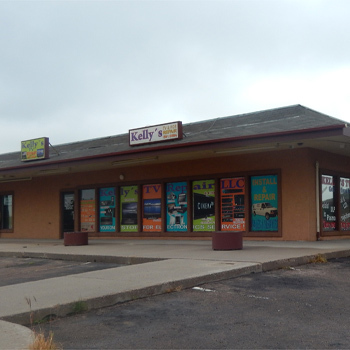 Call Kelly’s TV Repair at 719-591-0384 to arrange for your appointment. 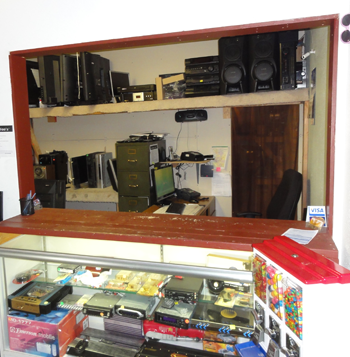 Bring in your VCR, DVD player, Home Theater and Stereo Equipment for a quick repair. Are your Electronics broken or worn out? 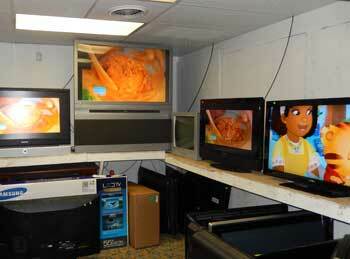 We are your local TV repair and Electronics repair headquarters. You bring it in to our shop. We pick up and deliver from your house (delivery fee). We work on it at your house. Most people bring it into our repair shop themselves. We usually have a turnaround time of 3-4 days on most items (depending on parts availability). We have direct access to most manufacturers’ parts warehouses and can get unusual parts which we might not have in stock via next or second day FED EX AIR. Our store hours are 10:00am – 5:00pm Monday – Friday, 10am – 1pm Saturday. Save the cost of a service call by bringing your product in for service any time during normal business hours. In-Home Service is normally provided between 9am and 6pm and evenings by prearranged appointment. We make every effort to arrange an appointment that is convenient to you. Our technicians are trained to perform your repairs as speedily and efficiently as possible. 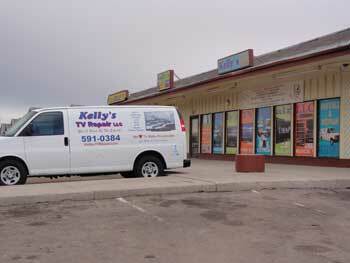 Call Kelly’s TV Repair at 719-591-0384 to arrange for your appointment.